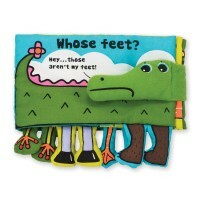 Giddy-up into great manipulative and pretend fun with this adorable multi-activity soft toy horse by K's Kids. Inviting all babies to giddy up on their own horse! 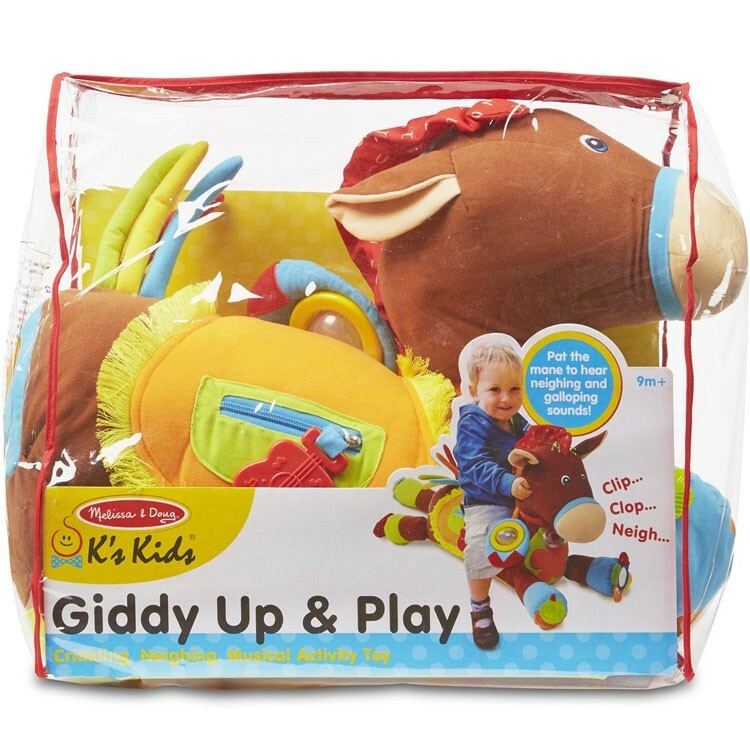 Giddy Up & Play Baby Activity Soft Toy Horse is a new adorable K's Kids large soft toy for the youngest cowboys and cowgirls. 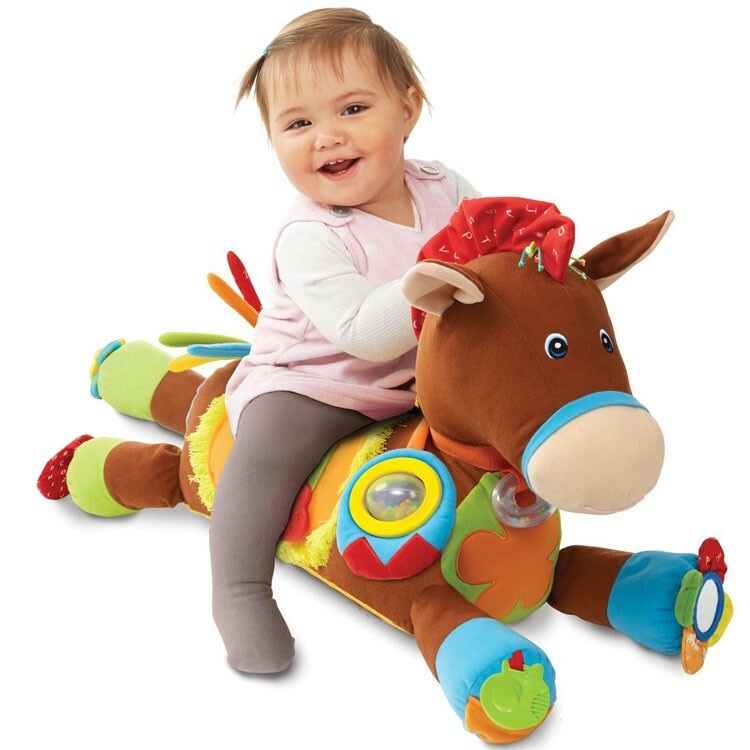 This adorable pony from Melissa & Doug toy company is a baby riding toy, a pull toy, a baby teether, a touch-n-feel soft toy, and all infants' favorite cuddly pillow - all at one package. 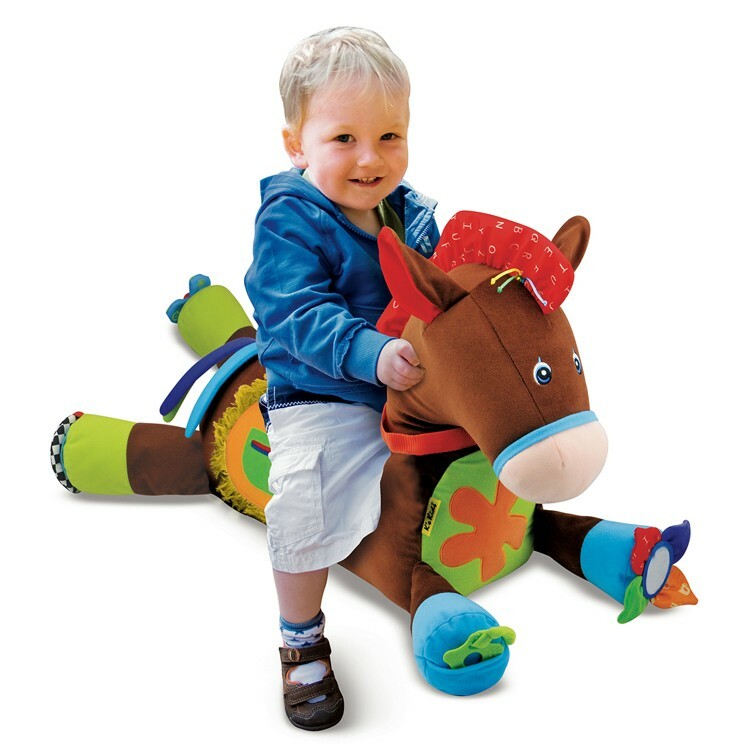 This jumbo soft toy horse brings multiple sensory activities for the little children. 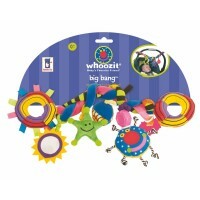 Giddy Up & Play Baby Activity Soft Toy Horse rattles, crinkles, and makes sounds. Pat the giant plush horse and it will makes neighing sounds. Ride on this soft baby toy pony from Educational Toys Planet and hear the trotting noise. 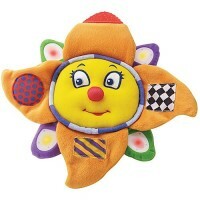 Plus this soft baby toy is always ready to be hugged and cuddled on. 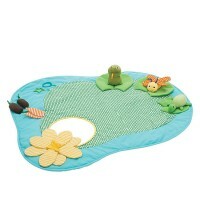 The baby activity toy features clicking horseshoe, picture pocket frame, zipper pocket with a chunky guitar teether, comfortable fringed saddle, spinning rattle, textured apple shaped teether, baby safe flower mirror, rattling reins, chunky button, crinkly ears and mane, and more fun elements to turn a riding adventure into developmental play. 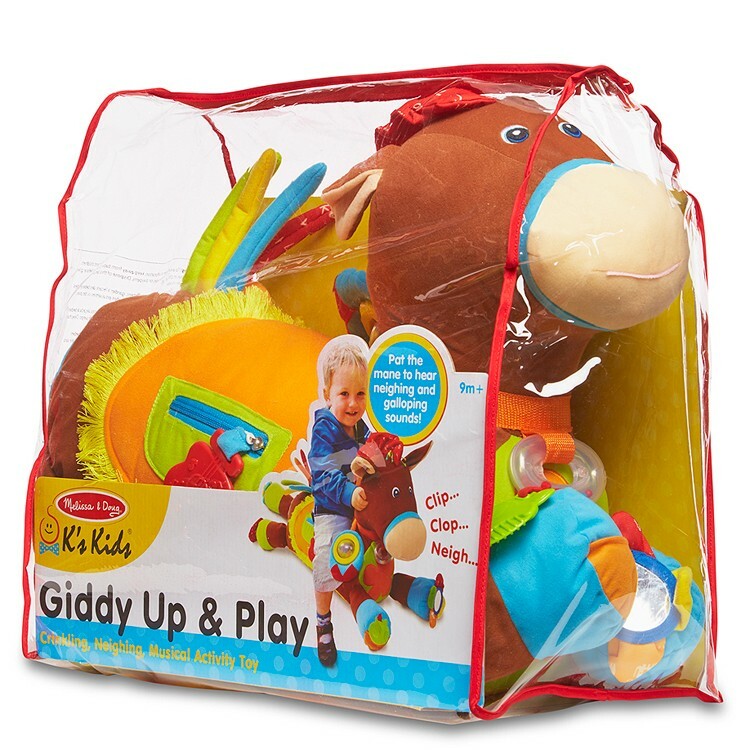 This K's Kids musical toy horse comes with non-slip bottom surface, so the youngest riders do not slip or slide. 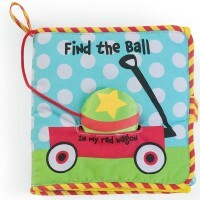 The Giddy-up activity toy comes neatly packed in a vinyl zipper storage bag. 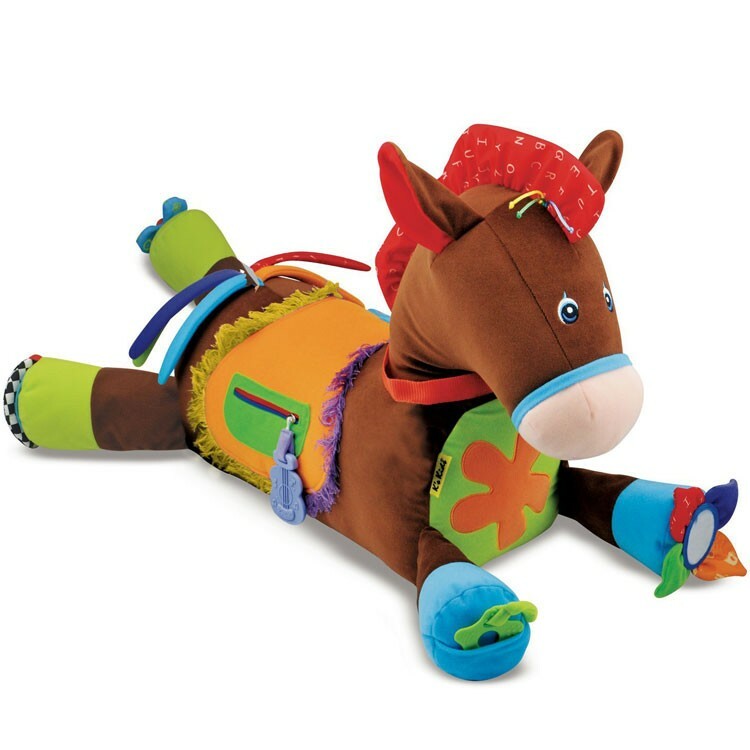 This soft activity horse requires 2 AAA batteries (not included). Is your baby ready for a musical ride? 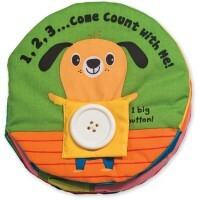 Dimensions of package 16" x 9.5" x 19.5"
Write your own review of Giddy Up & Play Baby Activity Soft Toy Horse. Rating: 5 Perfect by By A customer This is adorable and very well made. Not worth $70 or $80 but I bought it on sale and have no regrets about paying $40. Rating: 5 Nice but pricey by By A customer Price too high for what it is. Rating: 5 Love this! by By A customer This cute horse is cuter in person than in the pictures. After I added batteries and heard the very cute galloping sound it was perfect. 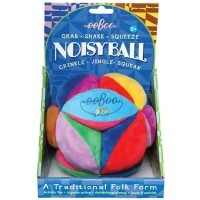 My one year old granddaughter loves this.....and so does her 5 year old sister!! Rating: 3 Nice toy but the neigh is no more! by By A customer Bought one and the neigh did not work...M and D send another promptly and the neigh worked for a short while but it also lived a short life and we once again have a silent stuffed equine toy. Other than that the toy is great. Rating: 5 Love it! by By A customer Super super cute! Can’t wait to give this to my daughter for Christmas! Rating: 5 This is the CUTEST thing!!!! 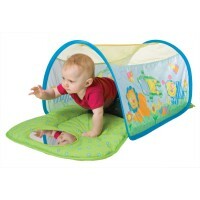 Very durable, great for hands on continuous play! by By A customer Head was great, stood straight up, battery pack in base of neck so it does not weigh down the head or neck. Great sound, needs two Triple A batteries to operate, squeeze ear to make neighing and clopping sound...not too loud, not too quiet. Baby can play with SO many tactile parts, very, very entertaining. Even the adults in the house play with it. First one purchased for 9 month old granddaughter, purchasing a second one today for two year old granddaughter. 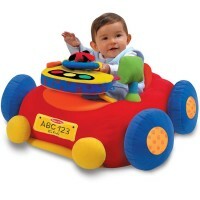 Rating: 5 Perfect educational toy by By A customer Gave to my grandson 1st Birthday- he loved it ! Rating: 5 Colorful and sturdy. by By A customer It was much more colorful and fun for my 1 year old granddaughter than I thought it would be.